I love hearing my parents talk about their Christmas memories. What I love even more is reading about them in their journals from when they were kids. This is why I decided to make a “holiday memories page” to use as a fun holiday writing project for kids. There are two versions of this page- one with space to draw a picture, and one without. 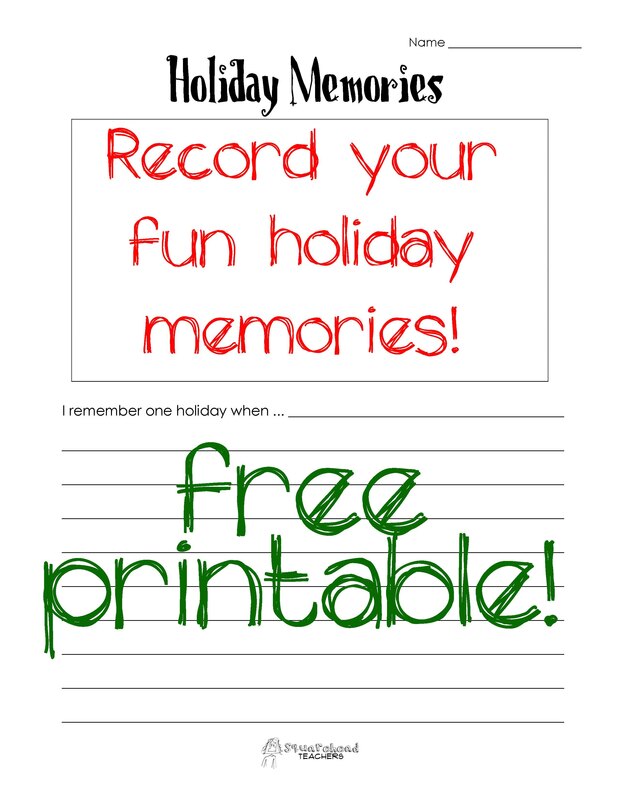 Here are the free printable PDFs: Holiday Memories – draw own picture and Holiday Memories – with picture. Merry Christmas! This entry was posted in Christmas/Winter, Holidays/Seasons, Writing, Writing Prompts and tagged Children, Christmas, Education, Elementary School, Holiday, Homeschool, Kids, memories, Teacher Resources, Teachers, Teaching, winter, Writing by Squarehead Teachers. Bookmark the permalink.